Christian Porter MP | Local News | It's official! The Lancelin Off-Road Muster held on 15 October 2016 was an event slated to break the Guinness World Record for the Largest Convoy of Off-Road Vehicles and earlier this week the record became official! 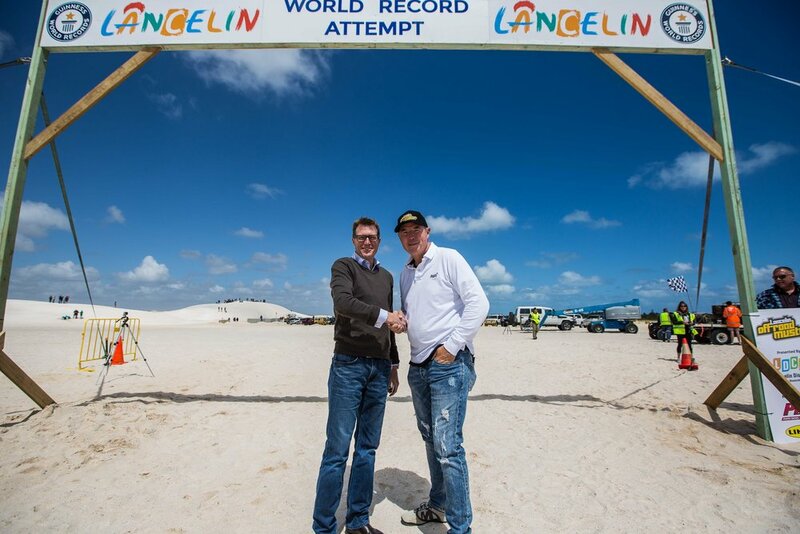 Lancelin now holds the official Guinness World Record for the Largest Convoy of Off Road Vehicles - 449 vehicles! I was thrilled to be a part of the day and kick off the convoy by waving the chequered flag - it was without a doubt one of the best events I've seen in my electorate. The Lancelin District Community Association, all the local volunteers and every one of the 449 participants need to be congratulated - they made the day a huge success and it was a fantastic display of community spirit.